The nation's first charter school support and advocacy organization, CSDC's advocacy work literally brought the charter schools concept to California in 1991, and has continued to be a consistent and trusted voice for the California charter school movement ever since. CSDC played a pivotal role in the California charter school movement, starting with the movement's inception in 1992. We helped write California's first charter school law. CSDC staff, including Executive Director and Founder, Eric Premack, were among the primary proponents advocating for the passage of California's first charter school law in 1992 and have played a critical role in the rapid spread of charter school legislation in over 25 states. CSDC assisted with major upgrades to Charter Schools Act in 1998, including lifting the cap on the number of charter schools that could be authorized, as well as strengthening the appeals process for charter denials. Whether fighting for equitable funding, playing an important role in the state budget process, defending charter schools from legislative attack, or supporting charter schools before regulators and state agencies, CSDC has spent the last 20+ years furthering the California charter school movement. We were the architects of the "block grant" system. CSDC served as the architects of the "block grant" funding system, which later became the framework for the new Local Control Funding Formula (LCFF) system, to which California is currently transitioning. While helping to build these systems, CSDC has constantly advocated for substantial equalization of charter school funding vis-à-vis school district funding. We help secure funding for new and growing charters. CSDC was the sole sponsor of the federal law requiring states to ensure that new and growing charter schools receive full funding from key federal formula grant programs (e.g., Title I). successfully advocating for charter schools that need to gain access to numerous funding sources, including, most recently, Common Core Standards and Mandated Cost Block Grant funding. We defend charter schools from legislative attack. stopping the imposition of more burdensome charter petition requirements. before regulators and state agencies. CSDC is especially known for its vigorous and successful track record for supporting charter schools in front of the State Board (SBE)/Department of Education (CDE), Advisory Commission on Charter Schools (ACCS), and Education Audit Appeals Panel (EAAP). CSDC is unique among charter advocacy organizations in its extremely deep and broad expertise and foresight in a huge range of key regulatory and bureaucratic issues that are vital to the success of charter schools, ranging from special education matters to key funding and facilities matters. We represent charter interests in regulatory law. CSDC successfully advocated for regulations strengthening charter schools’ rights during the charter renewal and revocation processes. CSDC was the primary advocate in beefing-up “Proposition 39” facilities regulations, resulting in a fairer charter share of school district-owned facilities. CSDC has also been a primary and consistent advocate for nonclassroom-based charter schools, advocating for numerous amendments to the nonclassroom-based regulatory process, as well as blunting proposed audit regulations that would have multiplied the auditing and oversight burden. We spot unseen—but critical—burreaucratic matters. CSDC interacts extensively with CDE and SBE staff on a huge range of vitally-important but often unseen bureaucratic matters, including funding and apportionment issues, categorical programs management and oversight, state charter appeals, numerous legal issues, and other matters. funding for California charter schools. CSDC worked closely with the SBE, the CDE, and the State Treasurer’s staff to successfully apply for over $500 million in federal start-up/implementation grants and nearly $100 million in federal facilities grants for charter schools. and independent study charter schools. CSDC successfully advocated for numerous amendments to “nonclassroom-based” regulatory process in order to reduce burdensome oversight. CSDC also blunted proposed audit regulations that would have multiplied the auditing and oversight burden for nonclassroom-based schools. We continue to be California’s hardest-hitting charter school advocacy organization and the “go-to” source for charter school support, technical expertise, and leadership development. Some of our key recent accomplishments over the past year are summarized below. We successfully advocated against numerous pieces of anti-charter legislation. laws allowing a school district to deny a charter petition if the district were to believe that authorizing a charter school would cause a loss of district funding. We successfully advocated for major upgrades to the vital Charter Facilities Grant Program (“SB 740”). blunting restrictive conflict-of-interest restrictions, which could have deleted funding for schools that have close relationships with “sidecar” corporations that hold title to the schools' facilities. Advocating for a shift away from the exclusive reliance on standardized test scores, and towards a broader-based, "multiple measures" approach. successfully supported legislation to protect charter schools undergoing renewal during the suspension of the API. We successfully advocated for extensive amendments to the Local Control Accountability Planning (LCAP) regulations and template. allowing charter schools to adopt a simplified, one-year LCAP in lieu of the more complex three-year LCAP required of school districts. 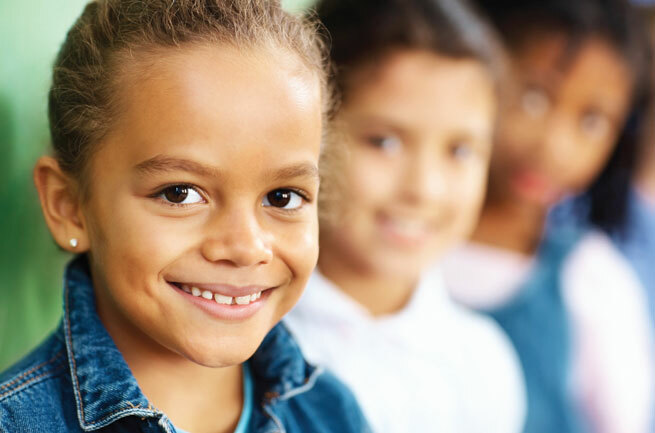 CSDC is California and the nation’s sole charter school advocacy organization whose work is supported exclusively through membership dues paid by our member schools.